Rise in hate crimes in the U.S.
Anti-Semitic hate crimes "spiked" last month in New York City, home to the single-largest Jewish community outside of Israel. Incidents ranged from offensive vandalism to assaults on religious leaders. The New York Police Department's hate crime task force responded to 31 anti-Semitic hate crimes in the first 28 days of October compared to just 9 in the same period in 2017, according to Lieutenant John Grimpel, a spokesperson for the city's police department. 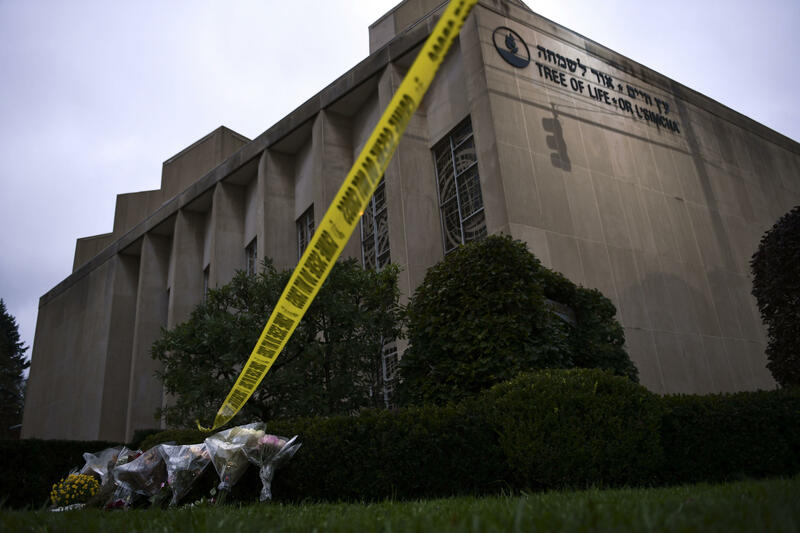 The uptick in anti-Jewish crime in New York came in the weeks leading up the Oct. 27 Pittsburgh synagogue massacre, when 11 congregants of the Tree of Life synagogue were shot and killed in the deadliest anti-Semitic attack in American history. Jewish nurse who treated Robert Bowers: "Love in the face of evil gives others hope"
So far this year, crimes against the Jewish community have constituted half of all reported hate crimes in New York, up from 44 percent during the same time last year, according to data provided by the NYPD. Of the 290 reported hate crimes in New York in 2018 so far, 142 were deemed anti-Jewish, up from 126 during the same time period in 2017. Chief of Detectives Dermot Shea said anti-Semitic incidents represented the "vast majority" of hate crimes. By comparison, hate crimes based on sexual orientation, the second-most frequently targeted hate crime category, accounted for 40 reported attacks during the same time frame, according to the NYPD. Shea called the uptick a "spike in anti-Semitic reported crimes" during a press conference on Friday while addressing "beyond disturbing" vandalism at a Brooklyn synagogue. About three-quarters of the anti-Semitic hate crimes reported in New York so far in 2018 was vandalism involving swastikas. Evan Bernstein, the New York and New Jersey regional director for the Anti-Defamation League, a Jewish advocacy group, said he's has been in contact "near daily" with New York's hate crimes task force. "It's affecting people's daily lives," said Bernstein in a telephone interview with CBS News. "We've never been busier." Anti-Semitic crime in New York as well as nationwide has been on a multi-year rise, Bernstein said. The Anti-Defamation League recorded 380 anti-Semitic incidents within New York state in 2017, a 90 percent increase from the year prior, according to Bernstein, who said he's expecting to report another increase in 2018. So far this year, the Anti-Defamation League has recorded 12 assaults against members of the Jewish community in New York State, nine of which took place in Brooklyn, according to Bernstein. There were 11 in all of 2017. "It's a huge challenge," Bernstein said. "The community is very, very on edge about the sheer number of incidents taking place." So far in New York City, all anti-Semitic crime, including vandalism and assault, is up 13 percent, according to NYPD data. Despite its strong Jewish community, anti-Semitic crime is more prevalent in New York than it is nationally, according to data from the FBI. In 2016, the most recent year available, anti-Semitic crimes made up 11.2 percent of all hate crimes recorded by the FBI. By comparison, race-related attacks accounted for 57.5 percent of reported hate crimes. Race-related attacks have made up 28 percent of all hate crimes in New York through October 28, according to the NYPD.